I feel like I haven’t been cooking much lately. I don’t know if it’s because I’ve been busier at work, because I was sick for a while, or because it’s approaching summertime and we’re out more. Whatever the case, it just hasn’t been happening as much. All the more reason to motivate myself with quick, easy, and super delicious dishes like this one. How can you go wrong with this combination? Crispy prosciutto, hearty kale and creamy ricotta. Light enough for warm weather, too! Love it. Cook pasta according to package directions. Meanwhile, saute prosciutto in some of the oil in a pan until crispy. Set aside. Chop kale and add to pan that prosciutto was in with garlic and a little more oil. Cook until wilted, then squeeze half the lemon on top. Reserve about 3/4 cup of pasta water before draining. 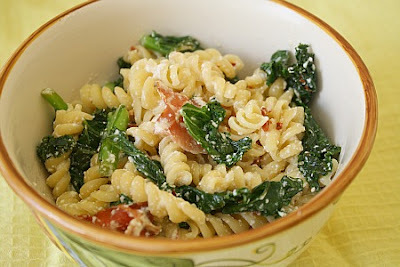 Add pasta and prosciutto to pan with kale, then ricotta. Slowly add pasta water until dish reaches desired consistency. Finish off with remaining half of lemon, red pepper, and salt and pepper to taste. Toss and serve. 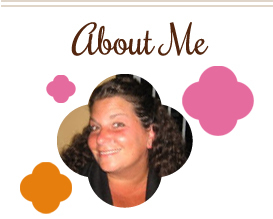 This entry was posted in kale, main dishes, pasta, pork, QuickAndEasy, ricotta. Bookmark the permalink. This week I found a recipe with kale that I loved. Finally. And it was in pasta. So glad to run across another kale recipe to make…that I know I’ll enjoy! 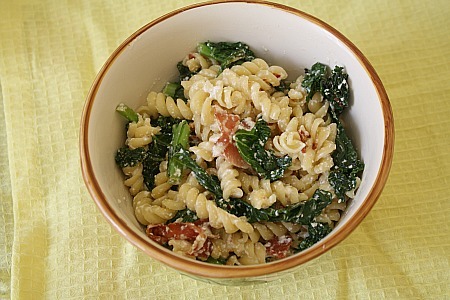 Thanks for the rotini with kale prosciutto ricotta recipe. If you don’t mind, can you submit your rotini with kale prosciutto ricotta photo in http://www.foodporn.net ?